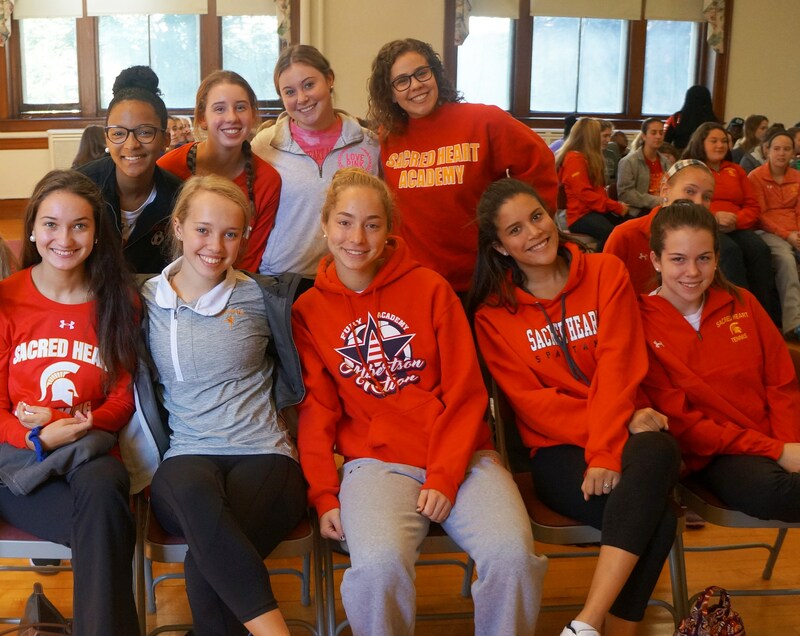 Retreats at Sacred Heart Academy are an opportunity to come away from their normal day-to-day activities to grow in a deeper relationship with God and each other. These days include prayer and sisterhood. 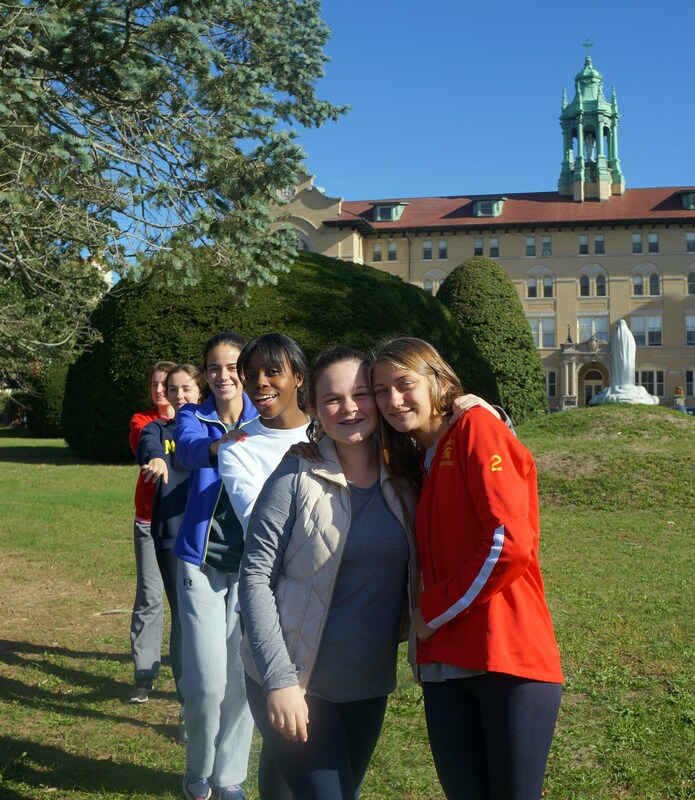 Our Freshman class begins their school year with an Orientation Retreat at Sacred Heart Academy. This retreat is an opportunity for the freshmen students to meet new friends and talk to older students. The theme is "See Yourself as God Sees You." Students are encouraged to reflect on their personal gifts and how they can use these gifts for service in the world. We encourage students to make a commitment to “walk the second mile,” just as Jesus invites us to do. Students participate in prayer, small groups, and various activities led by upperclasswomen. In 2016 over 60 upper class students served as group leaders. In this peer ministry lead retreat, students give witness talks meant to encourage the freshman. In the spring, the Freshman class is scheduled to have an afternoon of Reflection. This retreat afternoon is meant to revisit the theme of the Orientation Retreat. The afternoon ends in mass on the outside grounds of Sacred Heart Academy. 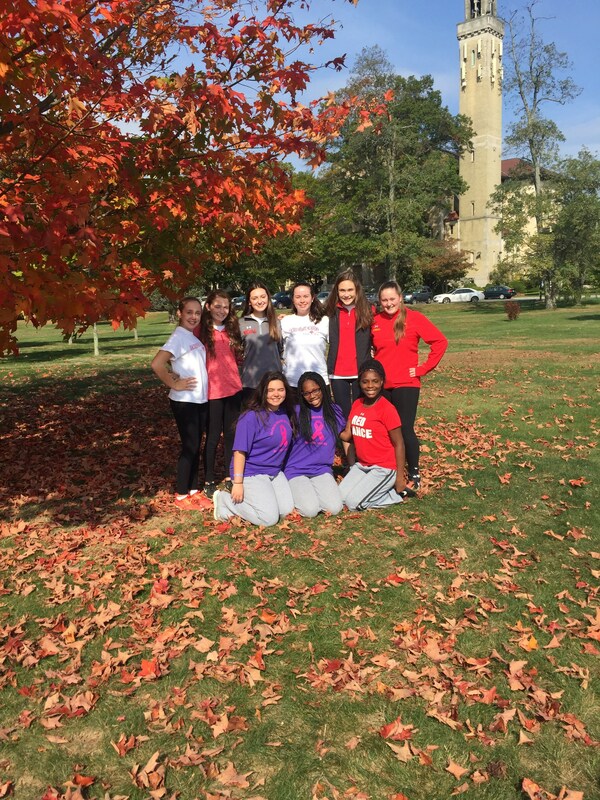 Our Sophomore and Junior classes have a day retreat at St. Joseph's Renewal Center in Brentwood, New York. This site is very important since it is the motherhouse of the Sisters of St. Joseph. The retreat day includes mass, group activities, reflections, videos and free time to enjoy the beautiful grounds. This year, our Junior Class will have the opportunity to participate in an Overnight Retreat at Don Bosco Retreat Center in Stony Point, New York. This is the first time we have had a Junior Overnight Retreat and we look forward to the wonderful opportunity for prayer, growth and deepening our relationships. Our Senior class has two wonderful retreat opportunities. Seniors are invited to participate in the Overnight Retreat at Don Bosco Retreat Center in Stony Point, New York. During the overnight retreat, seniors connect in many ways with their peers through a myriad of opportunities and prayer. This overnight retreat identifies senior year as a transitional time and provides the opportunity for young women to build bridges between the past and the future. In the spring, the Seniors travel to St. Joseph's Renewal Center in Brentwood for their final day retreat. Please see the information and permission slip for the sophomore retreat below.